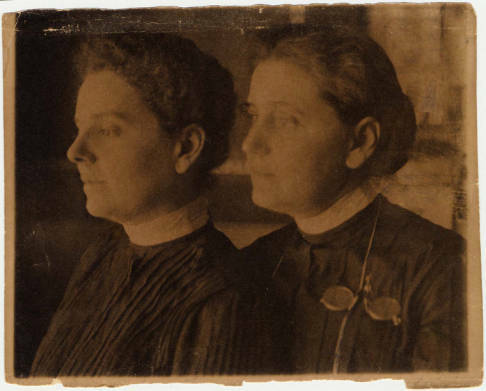 Mary Rozet Smith and Jane Addams. This is the last in Sara Catherine Lichon’s series of blog posts about interesting characters that she came across while working as a co-operative education student for the Project this semester. Her work involves identifying and describing the over 5,000 unique individuals mentioned in Addams’ correspondence. 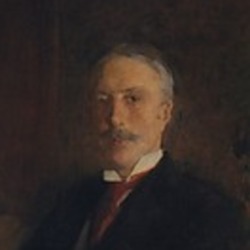 Francis J. Heney, a lawyer and politician whose life was threatened twice during his career. Life in law can often be exciting, especially when cases take a dramatic turn. For Francis Joseph Heney, a lawyer and politician from California, drama and excitement was part of the job — and sometimes his job even became a matter of life and death. Heney was known for many cases throughout his career, but he was most famous for killing an opposing plaintiff and for being shot in the head by a juror. As a member of the National Committee of the Progressive Party, Heney’s name appeared numerous times in letters to and from Jane Addams that discussed the National Committee. 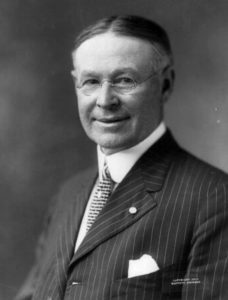 Heney was a delegate to the Republican National Convention in 1912 and ran for U.S. Senator from California as a Progressive in 1914. Outside of politics, he was a lawyer in both Arizona and California, and owned a cattle business in Arizona with his brother. From 1893 to 1895 he was Attorney General of the Arizona Territory, and he also served as the U.S. District Attorney for the District of Oregon. Heney was a well-known lawyer, having worked as a prosecutor on famous cases such as the Oregon Land Fraud scandal, where U.S. government land grants were being obtained illegally by public officials, and the San Francisco gaft trials, where members of the San Francisco Board of Supervisors were prosecuted for corruption. In 1889, Heney defended Mary Ann Page Handy, the abused wife of Dr. John Christopher Handy, in a divorce case. Handy was known for being violent and aggressive, having abused his wife throughout their marriage, threatening to kill her when she wanted to file for divorce, and causing her to become addicted to morphine. 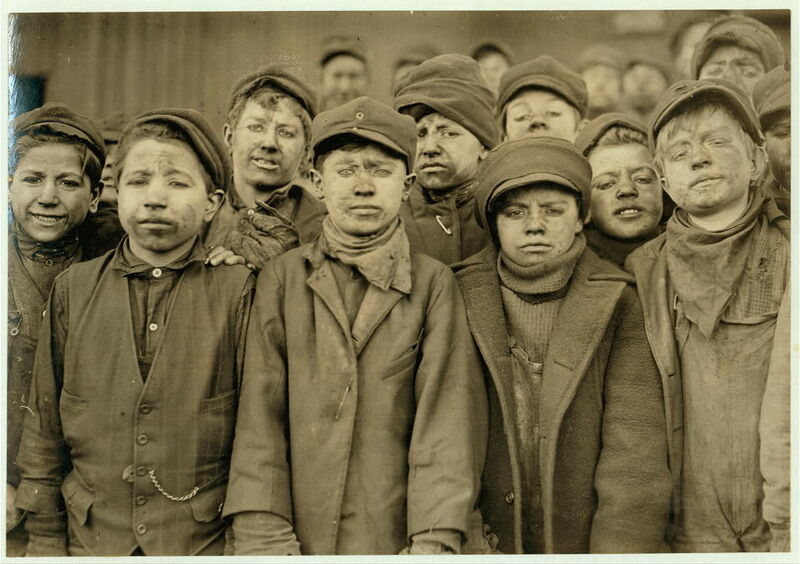 In July 1889, Handy filed for divorce himself and sent their children to live with his mother. Handy threatened to kill anyone who dared to defend Mary, scaring away most attorneys. Originally, C. W. Wright was to defend Mary, and he asked Heney to assist him. After Heney agreed, Wright withdrew from the case, and Heney decided to do the same. After some reconsideration, though, Heney decided to defend Mary, despite the anger of Handy. Throughout the case, Handy threatened Heney numerous times, even trying to run him over with his buggy. Ultimately, Handy won the case and received custody of the children, which Heney was quick to appeal, and a new case soon started – and the threats continued. On September 24, 1891, Handy attacked Heney outside his office, grabbing his neck and pinning him to a wall. It’s here where there are different accounts of what happened next; some newspapers say Heney broke free, ran, and drew a revolver, which Handy tried to grab. During the struggle, Heney shot Handy in the abdomen. Other papers say Heney shot Handy while running from him. After the encounter, Handy was taken to Dr. George Goodfellow for an operation but died during the procedure. Heney surrendered to the police but was bailed out by three of his friends. In a hearing two days later, the court ruled Heney acted in self-defense and he wasn’t charged. This was not the end of Heney’s exciting cases. During the San Francisco graft prosecution, Heney pointed out that one juror, Morris Haas, was ineligible to be a juror because he was an ex-convict. Heney also believed that Haas was planted by political boss Abe Ruef, who was being prosecuted by Heney at that time. Angered and resentful, Haas came into the courtroom a few weeks later while the trial was in recess and shot Heney in the head. Haas was then arrested, but found dead in his cell shortly after, leading some to believe he had been killed by one of Ruef’s gangsters. Others thought he committed suicide. Heney was expected to die, but he survived the attack. 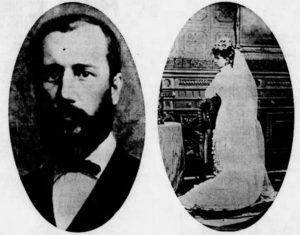 The newspapers of the time reveal how loved Heney was by the public; The San Francisco Call had an entire page dedicated to the story, describing how three thousand people gathered at Oakland’s town hall in support of Heney and how President Theodore Roosevelt sent Heney’s wife a telegram of sympathy. Heney continued to be involved in law and politics after these incidents, and lived a fulfilling life. In 1906, he married Rebecca Wentworth McMullin. She died in 1911. Heney married to Edna I. Van Winckle in 1915, who managed his U.S. Senate campaign. Heney died in 1937. Heney’s work with the Progressive Party and in law have gone down in history, especially the stories of his near-death encounters. And he is yet another fascinating person who has appeared in Jane Addams’ papers! Dexter Marshall. “Thrilling Chapters in Lives of Public Men.” The Washington Herald. April 19, 1908, p. 36. “Hand to Hand.” Tombstone Epitaph. September 27, 1891. C. Martin. “Territorial Divorce – as Turbulent as the Times.” Arizona Daily Star. November 12, 1972, p. 57. Oliver Tatom, “Francis J. Heney (1859-1937),” The Oregon Encyclopedia. 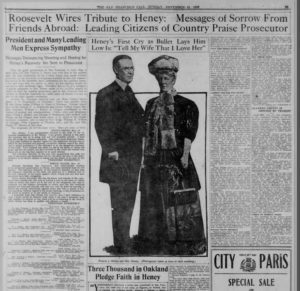 “Roosevelt Wires Tribute to Heney: Messages of Sorrow from Friends Abroad: Leading Citizens of Country Praise Prosecutor.” The San Francisco Call. November 15, 1908, p. 23. “When Francis J. Heney Shot His Man, Too.” The Des Moines Register. December 6, 1908, p. 10. 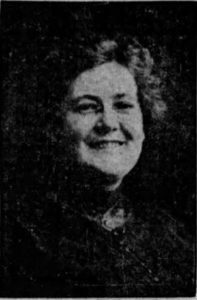 Dr. Lydia Allen DeVilbiss, in News-Journal, Jan. 16, 1914. Dr. Lydia Allen DeVilbiss was a doctor and surgeon in Shelby, Ohio, who wrote Jane Addams a brief letter on August 10, 1912, commending her for her speech to the Progressive Party Convention. DeVilbiss was an active civic leader, serving as president of the Shelby Equal Franchise Association, president of the Richland county Woman’s Suffrage Association, secretary and treasurer of the Shelby Medical Society, president of the Anti-Tuberculosis Society, and medical director of the Better Babies Bureau of the Woman’s Home Companion. In addition, she was the first woman to become a member of the Shelby Socialist local. These accomplishments alone were newsworthy for a woman during the early 1900’s. But in 1912, DeVilbiss made the news for a very different reason; a dramatic divorce case that pushed her private life into the spotlight. On Christmas day in 1906, Lydia married Albert K. Shauck, a professor and musician who was twenty years her senior. Early on, it appeared as though their life was going well; in 1907, for example, there was news of Albert opening a music school in Fort Wayne, Indiana, in the same building as his wife’s medical practice. But in November 1912, the News-Journal in Mansfield, Ohio reported that Lydia was suing for divorce. She accused Albert of having verbally abused her, using “foul, indecent and threatening language,” and slandering her reputation by spreading rumors. Lydia surmised that Albert treated her cruelly out of jealousy, as he also “materially interfered with her practice as a physician and surgeon.” Albert had also threatened Lydia’s life, she said, saying he would “take her life” and “circulate such slanderous stories about her” if she tried to leave him. Despite the threats, the couple had been separated for the six months before Lydia filed for divorce. When she made the decision to divorce Albert, she made arrangements to stay with her sisters in Fort Wayne and work as a drug saleswoman for Strong, Cobb & Company in Cleveland. The first news announcement of the Shauck divorce case, News-Journal, Nov. 29, 1912. Shortly after this news broke, Albert came forward with his own accusations. The News-Journal reported in early December that Lydia “treated him [Albert] worse than a dog,” subjecting him to verbal and physical abuse. He claimed that while he never abused Lydia or threatened her life, she had done so to him; in a statement made to the press, Albert presented a record of threats Lydia had made against him, which included “I wish someone would kill you” and “I wish there was no law against killing. I would just like to kill you.” Albert also alleged that Lydia once threw a butcher knife at him, smashed a bottle against his head, and broke his finger. He also complained of how, due to Lydia’s work, most of the housework fell to him. The dramatic news coverage of the divorce case did not end there. Only about two weeks later, Albert refused to eat, and his health rapidly declined. He was sent to the Marion, Ohio sanitarium, and Lydia collected money due to him in order to pay for his treatment. Albert K. Shauck’s account, News-Journal, Dec 2, 1912. 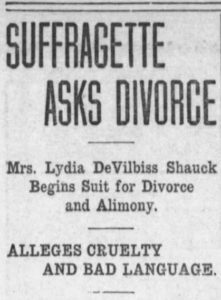 No news appeared on the Shaucks until one year later, when, in December 1913, Lydia dropped the divorce case. The case was dismissed without prejudice, but not because the couple had reconciled; rather, the courts believed that Lydia’s suit was not strong enough to warrant a divorce. Lydia chose to remain in Fort Wayne rather than return to Shelby. That was the last time the Shaucks’ marriage appeared in the news, but by 1920, Lydia and Albert were divorced. After the divorce, Lydia moved to Miami, Florida, where she opened the Mothers Health Clinic in 1928. There, she conducted research on birth control and came up with inexpensive soap-based spermicidal jellies to be used with a sponge. However, Lydia believed only educated women could understand these methods. She practiced sterilization on those she deemed less intelligent. Most of the sterilized patients were African-American women who may have been forced or mislead into having the procedure. DeVilbiss initially supported the work of African American physicians who opened a black branch of the Mothers Health Clinic, but after disagreeing with their methods, she shut them down. All that is known of Lydia’s private life after her divorce is that by 1930, she married to Dr. George Bradford. She died in Florida in 1964. We will never know the details of the Shaucks’ private lives, nor whose account held the most truth. For now, we are left with newspaper articles as the main glimpse into the life of Lydia Allen DeVilbiss, and what may have happened behind closed doors. Cathy Moran Hajo, Birth Control on Main Street: Organizing Clinics in the United States, 1916-1939 (2010), pp. 70-71, 117. Esther Katz, Peter C. Engelman, Cathy Moran Hajo, and Amy Flanders, eds. The Selected Papers of Margaret Sanger: Volume 2: Birth Control Comes of Age, 1928-1939 (2006), pp. 230-1. Albert K. Shauck, 1920 United States Federal Census. “Dr. Shauck is Now Medical Director of Magazine’s ‘Better Babies’ Bureau,” News-Journal (Mansfield, Ohio), January 16, 1914, p. 7. Lydia DeVilbiss Bradford, 1930 United States Federal Census. Lydia D Shauck, 1910 United States Federal Census. “A New Conservatory,” The Monroeville Breeze, August 15, 1907, p. 8. 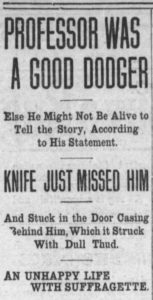 “Professor was a Good Dodger,” News-Journal (Mansfield, Ohio), December 2, 1912, p. 5. “Refuses to Eat,” News-Journal (Mansfield, Ohio), December 18, 1912, p. 9. “Shauck Case is Dismissed,” News-Journal (Mansfield, Ohio), December 13, 1913, p. 8. “Suffragette Asks Divorce,” News-Journal (Mansfield, Ohio), November 29, 1912, p. 5. Working as a research assistant at the Jane Addams Papers is enjoyable for many reasons. That being said, something particularly rewarding about my job is when the people I research unfold in ways I did not initially suspect they would. 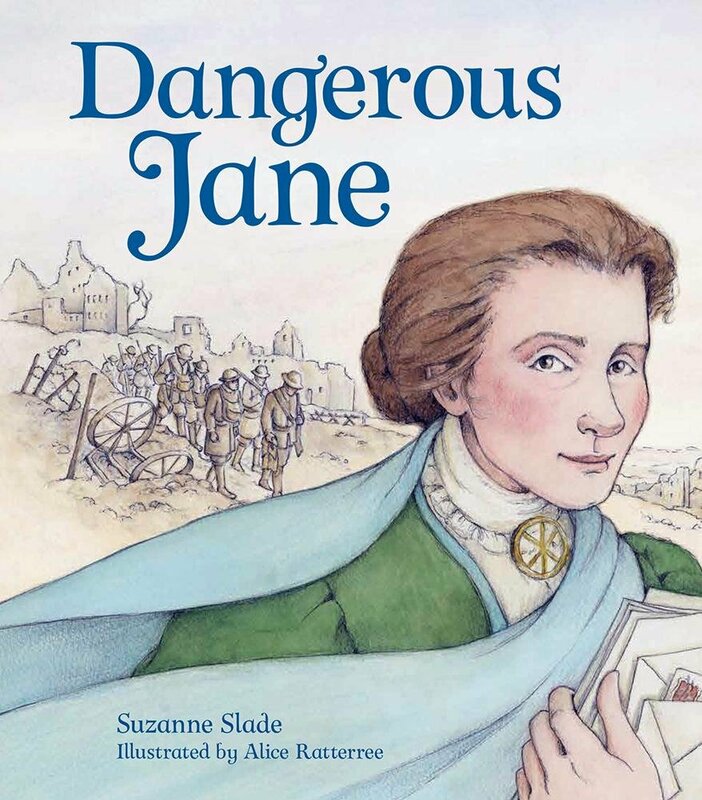 Because I write biographies, I am required to find the birth and death dates of correspondents and other people mentioned in Jane Addams’s letters and documents. After I scour census records, I use old newspapers that have been digitized, in addition to other research databases, to find out more information about the person I am writing about. Several times my research has led to my digging through the lives of completely fascinating people who have been (seemingly) forgotten. A particularly memorable instance of this happening was when I did research on Anson Phelps Stokes. The Phelps Stokeses were a wealthy, well-known New York City family during the nineteenth century and early twentieth century. The same week I was assigned to write Anson Phelps Stokes’s biography at JAPP, my art history class happened to be studying a portrait done on his son, Isaac Newton Phelps Stokes, and his daughter-in-law, Edith Phelps Stokes, by the painter John Singer Sargent. Imagine that! My art history major finally coming full circle! I knew a little about the Phelps Stokes family prior to diving into their lives at the Jane Addams Papers. What I did know was that John Singer Sargent did a fantastic job of depicting the flush in their faces and the hint of New York City money and culture in their clothing. What I didn’t know was that Anson Phelps Stokes was an incredible archivist of his own life; this man described even the mundane things he experienced in a personal journal that I was able to access on the internet. The careful cataloging of his travels reveals so much about the world as it was. My favorite excerpt being from a summer trip through Europe, in which he describes his decision against visiting Prague, as there was a terrible outbreak of cholera in the city at the time. Admittedly I spent a little too long perusing Anson Phelps Stokes’s journal, but I could barely help it. It was fascinating and gave me an insight into events that I knew very little about- something that is an important facet of historical research. So while some of the people I write biographies about are impossible to track down, others are a goldmine of information that I could never really imagine. That is my favorite part about working at the Jane Addams Papers Project. The kind of work I’m doing at JAPP is hands on, because I’ve always been interested in working with primary sources and looking at artifacts. This summer, when I started working in the office, I was assigned to search newspaper and find transcriptions of Addams’s speeches. For the first time in my college career, I learned and really enjoyed my summer job. I was pouring through months of newspapers that praised, condemned, and even mundanely wrote about Addams in all forms. It really gave me a different perspective about American history and culture, especially the roots of the suffragist movement as written about in Addams’s speeches. The highlight of my findings was when she was given an honorary Masters of Arts at Yale University’s graduation. 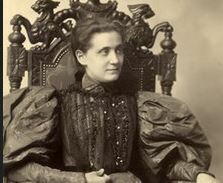 The preceding newspaper articles from all over the country were about Addams being the first woman to speak at Yale. Looking back at my summer, I really grew to know and love Addams and all that she worked hard for. At the end of the summer, and the first few weeks of the Fall 2017 semester, I started looking at letters and logging correspondence between Addams and all her connections; whether it was Dr. Aletta Jacobs, or her family members. The letters ranged from pre-Hull House to her death in 1936. From looking at letters and newspapers, I am now searching through other libraries and archives for more correspondence with Addams. The research that I’m doing really ignites my passion to continue doing research after my time at Ramapo and the Jane Addams Papers Project; I would like to go to graduate school for Library Studies. 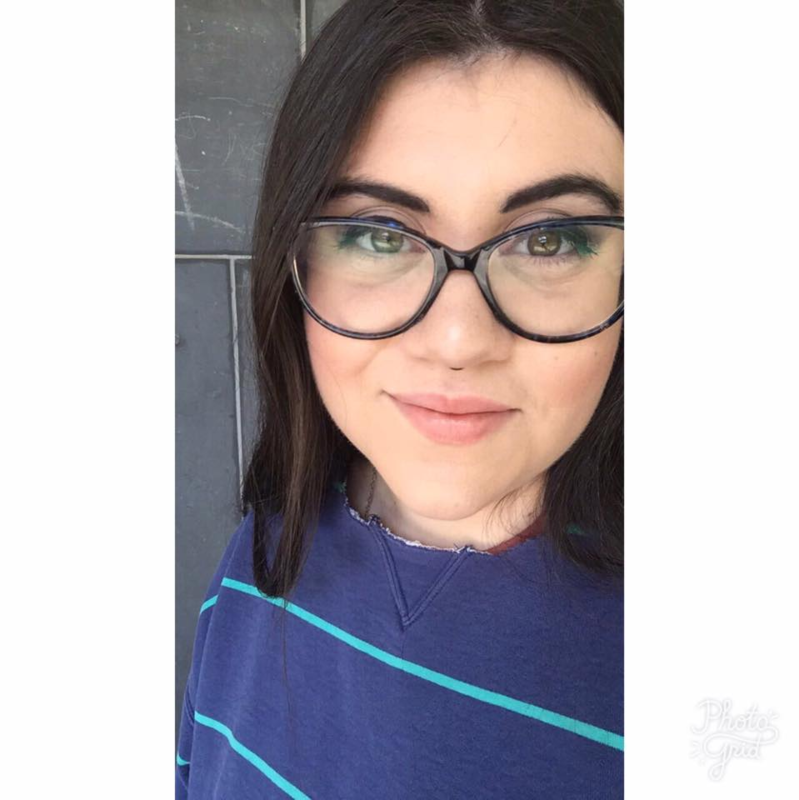 At school, I am the president of Ramapo Pride, the school’s LGBT+ club on campus, and am involved with Hillel and other social justice clubs. I’ve wanted to be in the history program here because I have been involved with history all my life, being the historian of my small family, as well as excelling in history in my formative years. I enjoy drawing, laying in bed, making playlists, and listening to music. My favorite era’s to read about is Edwardian and Victorian eras, focusing specifically on fashion and entertainment at the time. “Quaffling his lemonade, the tourist told the landlord that it gave him very great pleasure to see a man of his profession show such becoming reverence to the day of rest. As someone that has been studying history for some time now, I find that working for the Jane Addams Papers Project as a student editorial assistant is a great opportunity. It allows me to both learn more about a time period of history that I was at first not really familiar with and use my history degree in a professional environment. I have always wanted to work for a history research project, and now I have the great pleasure to work for one. At the project, I do initial research on Addams’s unpublished and published work and speeches. For the initial research, I look at the original microfilm scans of said documents and begin to enter them into our database. I ensure that the document is correctly entered by the date it was published or the speech was given, as well as make sure all the names of people and organizations are entered into the database, if not already there. The interesting part about this task at the project is that I get to research old newspaper articles to find out who these people and organizations that Addams mentions are. I really get the chance to use all the research training I learned while studying history. This part of my job gives me a chance to really understand and learn more about some of the important events and movements that Jane Addams was a part of. Doing the research on all these people and organizations from the past can be really interesting; the things that I get to learn about them is just fascinating. Sometimes they are kind of funny. There is one instance when I was looking up information on one of the popes that Jane talks about in one of her speeches. At first I did not know it was a pope I was looking up; the only name I had to go with was “Pionono,” which was his nickname at the time. The interesting thing about this was that there is a popular pastry with the same name. 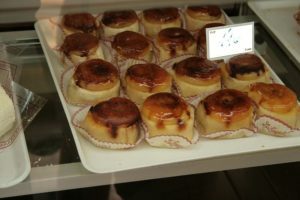 For, what I think was ten minutes, I was searching around Google trying to find out who this person was, and every search the top result and the first couple of pages was this pastry! I was very confused by this; Jane couldn’t have been talking about a pastry in this speech! Confused by only finding pastries, I decided to click on one of the links about this and found out that it was named after Pope Pius IX. It was at that moment that I knew I found the right person; Jane was clearly talking about a pope in context to what she was referencing. This is just one of the funny moments that happens when trying to find people that Addams talks and writes about. I wouldn’t have known who she was talking about, people at the time would have. I get to learn more things about a time period that I didn’t know about. Though I still don’t know why there is a pastry named after a pope. 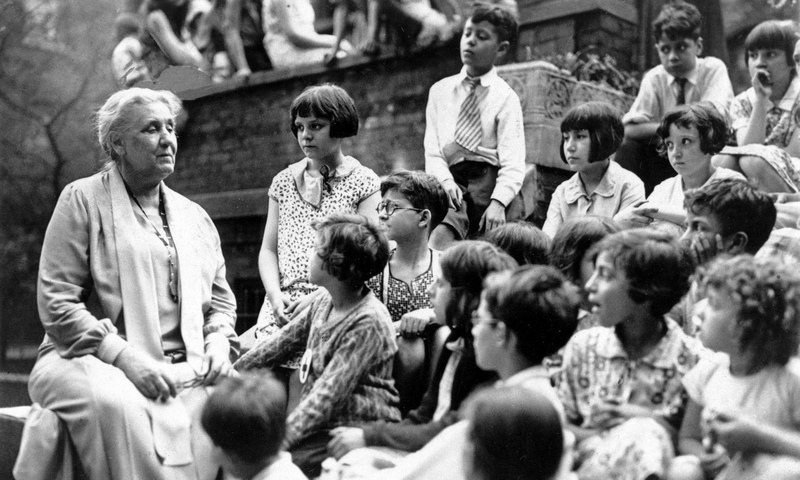 When I first heard the Jane Addams Papers Project had come to Ramapo, I was beginning my sophomore year. I had just been thinking about research opportunities for history majors, so it seemed almost like fate when I saw posters around campus advertising for the JAPP interest meeting. Next thing I knew, I was part of the JAPP team as a research assistant and still am part of it as I begin my senior year. 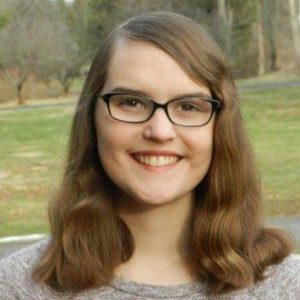 Sara Catherine Lichon is a senior history major and international studies minor, working at the JAPP as a research assistant.  I’ve always had a passion for research and the past, so I knew when I enrolled at Ramapo that I wanted to be a history major. As I advanced in my academic career, I added a minor in international studies, developing an interest in how the past has led to current events. 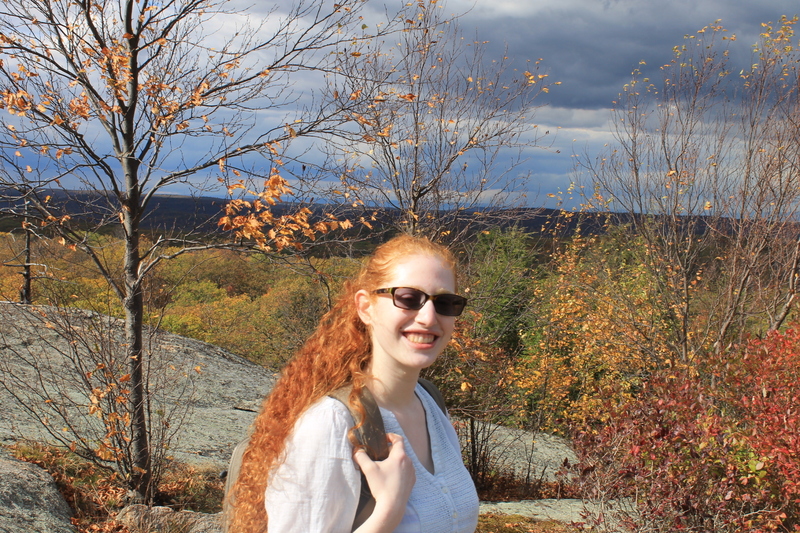 For both my history and international studies classes, I’ve researched international current events and the history behind them, and as a member of Ramapo’s Honors Program, I’ve attended numerous regional and national conferences to present my research. This past June, I published a paper titled “Identity Crisis: How the Outcome of the Cold War affects our Understanding of the Crisis in Ukraine” in the undergraduate research journal The Augsburg Honors Review. Currently, I am working on my Honors senior thesis, focusing on Scotland’s reaction to Brexit and how the historic relationship between Scotland and the United Kingdom contributed to this reaction. To gain a better understanding of Scotland’s culture and history, I studied abroad in Edinburgh over the summer, taking a Scottish History course and exploring the country from the cities in the Lowlands to the small towns in the Highlands. I even climbed Ben Vrackie, a mountain 2,759 feet above sea level, and visited Loch Ness during my travels! Mary Miles Minter, an actress who was a suspect in the unsolved murder of her lover in 1922. As a lover of research, when I heard about the JAPP, I was immediately drawn to it. 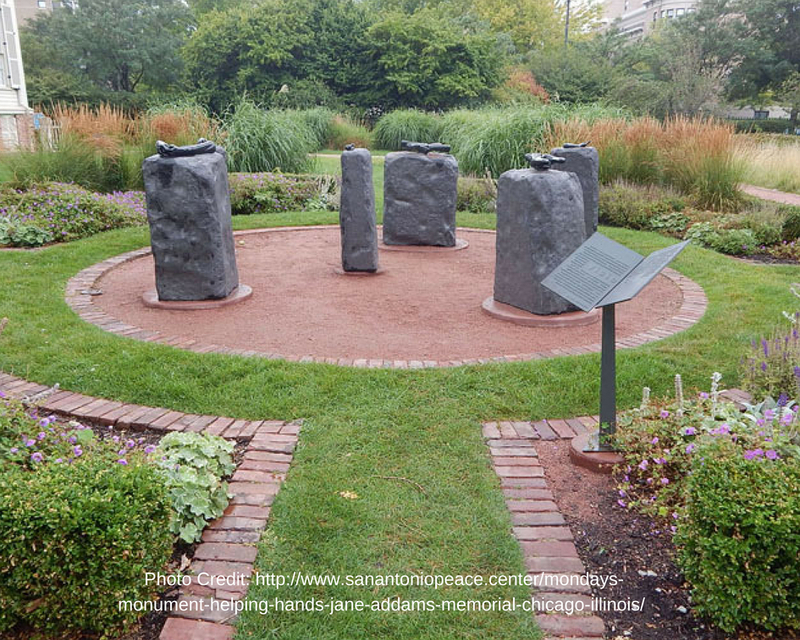 I began at the project by transcribing documents but soon realized that I preferred to research the people who made appearances in Jane Addams’s life – and I’ve been researching them ever since! I love uncovering the stories of their lives, and I especially love the challenge of digging for information on people who weren’t well-known. It’s very exciting when I can find information, and I feel like a detective! 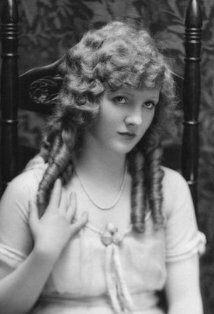 Sometimes I come across people with fascinating lives; recently I just wrote the bio for actress Mary Miles Minter, who was a suspect in the unsolved murder of her lover in 1922. I have even found myself writing the bios of people I’ve come across before, such as Victor Moore, an actor who starred in one of my favorite movies, It Happened on 5th Avenue. The stories of those who came before us are something that I can never get enough of, and at the JAPP I’m able to gather and share the stories of so many people, writing them into a narrative that will be accessible for years to come. Outside of history and international studies, I have a passion for music, theater, and the arts. I sing, play ukulele, and am a member and business manager of Orchidstra, a barbershop quartet. 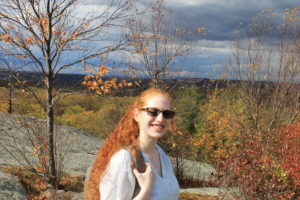 I am also a Global Roadrunner, a member of Ramapo’s French Club, and in Phi Alpha Theta (history honors society), Sigma Iota Rho (international studies honors society), and Alpha Lambda Delta (first-year honors society). In addition, I enjoy photography, hiking, and spending time in the great outdoors. I spent two summers interning at the Washington Township (Morris County) Municipal Building, and after graduation, I plan to pursue a career in government.  But while still at Ramapo, I continue to research and write the stories of various historic people, and I am loving my role on the JAPP team.